In addition to visions of sugar plums, there’s something else we need to be dreaming about: tax breaks for 2016. Before we know it, the clock will strike 12 on December 31 and it will be 2017. But, it’s not too late to do some last-minute planning to lower your taxes from 2016. It might be the last thing on your mind with the holidays not quite here and gone yet; however, if you love saving money (and I sense you do), you’ll make time to claim deductions and credits from the year. Whether paid with a credit card or check, charitable donations count as a tax deduction as long as they are made before the end of the year. Even if the check or credit card payments are not actually deposited until January, they will still count as a deduction if they were written or done by the 31st, according to a release by the Internal Revenue Service (IRS). You are also permitted to take a deduction if you used your vehicle for charity, such as driving for volunteer work. Of course, there are different breaks for employees, but did you know you may deduct some business expenses that were not reimbursed? And while the self-employed pay taxes differently than employees, multiple deductions exist for them as well. 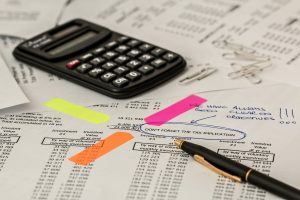 Your home office (even if just renting), expenses, computers, and the like can be all tax deductible. For those who were searching for jobs in 2016, there are deductions to help you find employment. However, the IRS states that the “expenses must be spent on a job search in your current occupation.” Thus, you will not qualify for deductions when job-hunting expenses are incurred during a new occupation. Moreover, if you contribute to a retirement plan, you may be capable of taking a credit or deduction, depending on how much you put in. There are a variety of breaks for homeowners that include but are not limited to real estate taxes, mortgage interest, home offices and home improvements to help with energy efficiency. Additionally, because of the 2015 Protecting Americans from Tax Hikes Act (PATH), you just might be entitled to a deduction on how much you’ve paid toward your mortgage’s insurance premium. Parents will naturally anticipate tax breaks for 2016. Childcare and adoption expenses made in 2016 will qualify for deductions as well as exemptions for each dependent. The maximum credit amount you can receive for each child is $1,000 and the personal exemption amount is $4,050 per child from your taxable income. There are limits, which you can read about from the IRS here. Moving, getting married, changing your last name, losing a job or having a child are all life-changing events that may qualify for certain tax credits or breaks from 2016. Others to be aware of include going to college and buying a new home. There are some strange tax deductions you can also consider. Because they are so out of the norm, you’ll want to track these and present them to your accountant, as they will most likely not inquire. Check your paycheck withholding. Be sure to speak with your employer regarding how much is withheld from your income. Many Americans actually end up paying too much in income taxes. So, a better option may be to include more money in your income now rather than wait for the return. Use this calculator from Efile.com to see what you really should be withholding. Not to mention, if you think you may actually end up owing, you can switch to have more taken out of your paycheck. It may be a little late for this to have much an effect now, but keep this in mind for 2017 tax filing. Keep and organize your tax records. The IRS recommends maintaining your tax documents for at least three years not only for audits but also for filing for the current tax year. Know your deductions ahead of time. Look into the deductions and credits you are capable for (like the ones mentioned above) so that you do not miss a beat come filing time. It’s amazing how much money you can save by being a little more diligent. Even deducting the costs of last year’s tax return, including consultation fees, can be contributed to this year’s filing. If you do not expect to be in a higher tax bracket, you may also attempt to earn more tax breaks for 2016 in a variety of ways. These include but are not limited to: making more charitable contributions, prepaying on property taxes or mortgage payments, and selling property. Use up Flexible Spending Accounts (FSA). The money in your FSA will disappear come December 31 so take advantage of it now. Squeeze in those last minute health appointments if you can, which will also help save money for the new year when your insurance plan most likely starts over. Even if you do not have a FSA, schedule that appointment anyway that you need. Medical expenses can be tax deductible, depending on how much is spent on them. Have year-end bonuses paid in 2017. To avoid having your bonus as part of your 2016 taxable income, ask for it in 2017 if they have not already been distributed. Likewise, the self-employed may bill clients in December to receive payments in January. Hopefully, you feel a little more prepared and mentally at ease for 2017 with these tips and information. Tax breaks for 2016 can still be obtained, but act fast before you miss your opportunity. What would you add to the list? Do you feel prepared for the 2016 tax year? The earlier the better. Thanks for the heads-up and the tips on tax. Merry Christmas! Sorry for the delayed response…hope you had a wonderful holiday season and glad that this article could help you!